Melbourne, on the southern coast of Australia, is often called Australia’s most “European” city. With a reputation for art, music & culture there’s no wonder why it gets such an esteemed accreditation. Some of Australia’s greatest museums are located in Melbourne. The city is often compared to its northern rival Sydney, but the two are so dissimilar it’d be hard to pinpoint what they share in common besides the Aussie slang. Melbourne’s city centre is crowded with art galleries, cafes and museums. With the ever-popular city trams, it’s easy to get around the city. In fact, on the Queen of England’s visit to Melbourne in October, she even took a ride on the tram! The City Circle tram that runs a circular route through most of downtown Melbourne is free and a great way to get an introduction to the city. Along the route, you’ll find plenty of places to stop and visit. 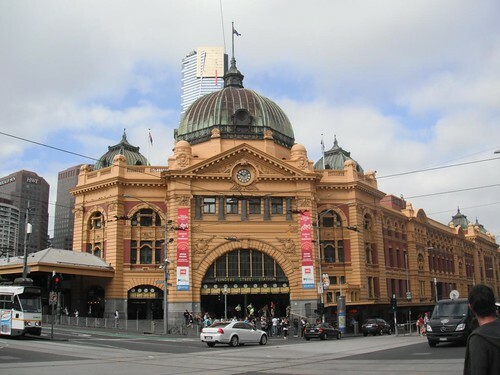 A main point of interest is the Flinders Street station—a 19th century train station still used as a main transport hub for Melbourne. Flinders Street runs alongside the Yarra River which has many local apartment buildings, trendy stores & shopping centres. Consider staying in a holiday apartment (or flat) near Flinders Street so you’ll be close to the action (and on the free tram route!). Federation Square on the banks of the Yarra River is home to some unique architecture and open spaces, often used for entertainment & cultural purposes. If you want to escape the city a little bit, there are plenty of day trips from Melbourne. Maybe instead of staying in a downtown Melbourne apartment (or flat) , look for a place a little farther out of town. 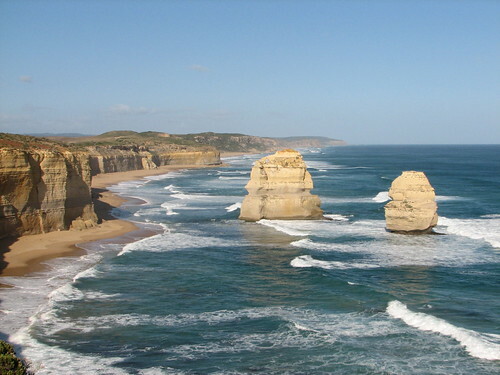 The Great Ocean Road is one of Victoria’s most popular destinations. The scenic drive winds along the coast and eventually leads you to the 12 Apostles – giant rock formations just off the coast.